Knowing how much she adores her job and the business, it’s uncanny that Kylie once vowed and declared never to become a property manager. Securing her first job in real estate as a receptionist, Kylie went on to work in sales administration positions and declined many an offer to venture over to ‘the dark side’. Just prior to Christmas of 2009, Kylie agreed to babysit a portfolio for a friend who was travelling overseas for 6 weeks. She was horrified to find the portfolio in such a mess. The arrears ran into several thousand dollars, inspections hadn’t been done for months, there were no real systems in place and certainly no communication happening. It was during this 6 weeks that Kylie learned she had a natural gift for the job, and the biggest surprise of all – that she loved it. 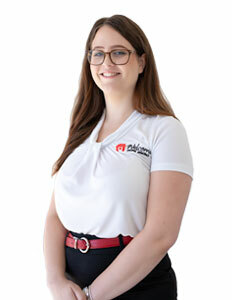 Securing a full time position with a local agency, Kylie spent the following four and a half years learning everything she could about being the very best of property managers. 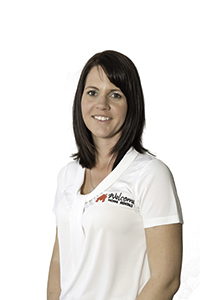 With a passion for providing excellence in customer service, and a drive to change the industry, she took the plunge in September of 2014, starting Welcome Home Rentals from her living room. “It was only meant to be a small business,” Kylie says, now the director of a team of 5 employees. In May of 2016, the living room office was traded in for a 95m2 office space in Monkland Street which only added to the exposure and organic growth of the business. “Our aim is not to be the biggest, but it is to be the best,” is a motto that Kylie, and her husband, Grant, share wholeheartedly. 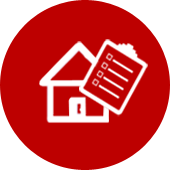 Property repairs and maintenance take a lot of investigation and co-ordination and this is where Grant’s role within Welcome Home Rentals ensures that owners save money while maintaining their investment. As a fully qualified fitter and turner, Grant spent many years at the end of a spanner before moving into a senior management role in the area of maintenance. Whilst the industry he was working in is vastly different to the world of real estate, the principles of maintaining an asset are predominantly the same. Ready for a change and having heard his wife, Kylie, speak so passionately about real estate for more than a decade, Grant made the decision to join her in the business at the beginning of 2017 – a move he describes as incredibly rewarding and satisfying. Grant’s role is solely focused on conducting thorough routine inspections, documenting maintenance requests, liaising with tradespeople, investigating solutions to problems and closely communicating with clients and tenants to achieve the best outcome quickly. Tania joined the Welcome Home Rentals team in October 2015 to provide a range of administrative support, before obtaining her real estate licence in 2017 and stepping into a leasing consultant role. As Kylie’s sister, the girls don’t only look alike – they are incredibly similar in their dedication and desire to match the right tenant with the right property. Tania stops at nothing to ensure clients receive all information to make an informed decision about who to choose for their property. With the implementation of Inspect Real Estate, Tania has enabled tenants to book their own inspection times on line 24/7 and she uses this program to its full potential, often leasing properties without advertising from their internal database of candidates. As a property investor herself, Tania understands and respects the huge responsibility of her role in approving the very best tenant possible for every property. With a background in hospitality, Taylor was so keen to work with Welcome Home Rentals that she asked not once, but twice before being offered a position as receptionist. With a bright and bubbly personality, Taylor learned the ropes incredibly quickly and it wasn’t long before Kylie promoted her to personal assistant. With Kylie often being out on inspection, “Tay” is the much younger clone that Kylie hoped and dreamed for. 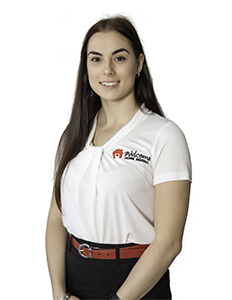 Since obtaining her real estate licence in October of 2018, Taylor is an office manager in the making, keeping everything running with military precision, processing lease renewals, replying to emails, and scheduling appointments. It was Gympie Pest and Clean who recommended Kaylah when Kylie was looking for a replacement receptionist. Having worked at Drakes Supermarket since leaving school, Kaylah had a very fast typing speed, a sweet smile and a ‘can-do’ attitude that landed her a part time role with Welcome Home Rentals in October of 2018. Showing an interest in learning to conduct entry inspections, Kaylah’s hours were extended to full time at the beginning of 2019 and she hasn’t looked back. When she’s not out typing entry reports with Kylie, Kaylah is greeting clients with professionalism and care at front reception.